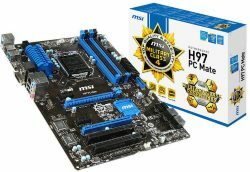 Choosing the best motherboard for gaming is usually one of the most undervalued aspects when it comes to setting up a gaming PC piece by piece. 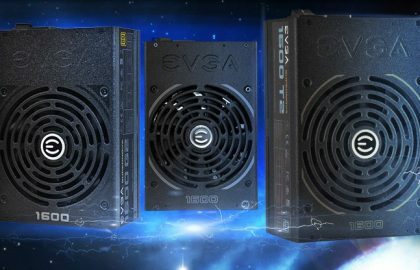 And it is a mistake, since it is a very important component, and it will depend on the quality of the other components that we can fit, the connections that we will have, the durability of our PC and the future possibilities for improvement. Therefore, before asking yourself which is the best motherboard for gaming, you must be clear that the most important thing is to seek a balance between the components. And for this, it is necessary to keep well in mind the budget that we have to assemble our equipment and the intended use, especially if we are going to overclock or not. And what is even more important, we must buy a model that is compatible with our processor or CPU, as these have different sockets. So it’s no use having the best processor in the world if you buy a motherboard that is not compatible. 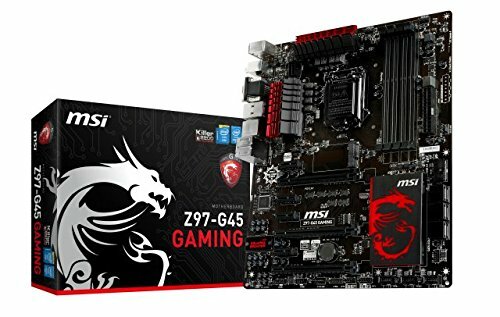 So.. How to find the best motherboard for gaming? The first thing we should be clear about when choosing a motherboard is the size we need. There are a lot of different sizes and formats, but in this article, we will focus on the three that are used in the general consumer market since the rest can be considered almost as niche solutions. ATX: It is the standard size and the most used in general. It measures 305 x 244 mm. Micro-ATX: It has gained great popularity when it comes to mounting compact but powerful equipment. It measures 244 x 244 mm. Mini-ITX: It is not the most usual, but it is very useful for mounting small gaming PCs. It measures 170 x 170 mm. It is important to keep in mind that the most complete and powerful motherboards, such as those dedicated to gaming, usually use the ATX format to offer greater benefits in general and allow greater possibilities for expansion. With this, we do not mean that they are the only valid ones, they are usually the most suitable motherboards for gaming. When choosing the size of a motherboard, consider the space you have inside CPU. Thus, it is possible to use a micro-ATX motherboard without problems in an ATX case but not the other way around, so be careful, as a standard motherboard will not fit in a small case. The second thing we have to consider is which platform we are going to use, and the processor that we want to mount depends on it. Currently, the two major manufacturers, Intel and AMD, maintain different processors in the market that use different sockets, although in some cases they are compatible with the previous ones. We have the chipset, a fundamental element in a motherboard since it delivers a good part of the performance. They are usually grouped into three ranges; low, medium and high. Intel also offers another range that is limited to the “Extreme” series processors. Chipset H81: It is the most basic. It does not support multiGPU configurations nor are they ready for overclock, nor is it compatible with Broadwell. Limited to PCI-E 2.0 x16. Ideal for economic equipment. Chipset H97: It is affordable and recommended models if we do not intend to overclock. They support Broadwell CPUs (Core 5000 series) and bring advanced technologies. Chipset Z97: It is the top of the range. They are specially designed for overclock with K series processors, support Broadwell CPUs and configurations with up to three graphics cards. Chipset H110: It is the most basic level. It does not support multi GPU configurations nor are they ready for overclock, nor is it compatible with Broadwell. Ideal for economic equipment. Chipset H170: It is an intermediate range that adds details like a maximum of four slots for RAM, RAID, and support of advanced technologies such as Intel Active Management, Trusted Execution and vProTechnology. Chipset Z170: It is the only one prepared for overclocking, and therefore the ideal solution for users who want to use K-series processors and who also aspire to be able to mount SLI or CrossFire configurations since they support up to three graphics cards. Socket LGA 2011-v3: is the top of Intel range, and it uses the extreme series processors that have between six and ten cores. It is the maximum to what we can aspire today. 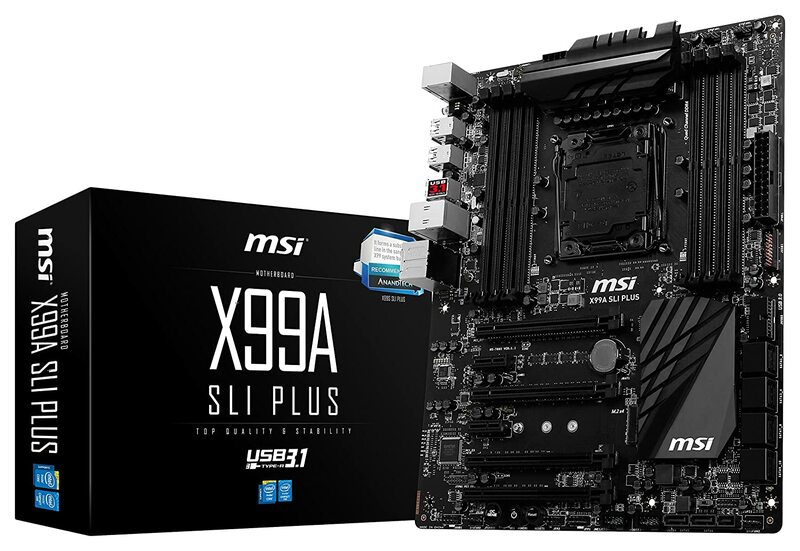 Chipset X99: It is a complete solution, since it supports overclock, allows to mount a theoretical maximum of five graphics cards and supports the most advanced technologies of Intel, including Smart Response Technology. Chipset 970: in spite of being a basic model it is quite complete and recommendable since it allows to overclock without problems and supports CrossFire configurations with two graphics cards. Chipset 980D is a step above. It maintains the above but adds support for SLI configurations with up to two NVIDIA graphics cards. Chipset 990FX: it is the top version of the range and the most complete. Add support for SLI or CrossFire configurations with up to four graphics cards. Chipset A55: it is the most economical and the most limited. Does not support multi-GPU configurations. Limited to second-generation PCI-e, it does not support SATA III. Chipset A75: a small advance compared to the previous one since it adds support for two graphics cards. Limited to PCI-e second generation. Chipset A88X: it is the top of the range. Ideal to get the most out of your APU or processor and overclock. Supports up to two graphics cards and uses third-generation PCI-e.
Now that we are clear about the platforms and the main chipsets, we have to talk about two very important issues, connectivity, and construction quality. The first one must be understood in a broad sense, that is, both in terms of expansion slots and standards inputs and outputs to connect USB devices and accessories. 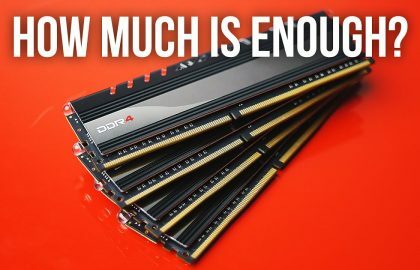 The number of slots for RAM modules, if we have four and buy a motherboard with two slots we can not use them all. 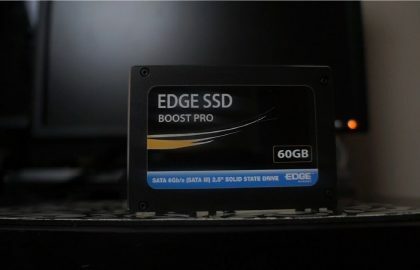 PCI-E slots to connect more than one graphics card, and also other specific components, such as last generation NMVe SSD units. Support of the standards we need, such as SATA III for a conventional SSD or M.2. Be clear which components you plan to assemble first and then choose a motherboard that is sufficient for them. Additional connections that we will need, among which include for example USB ports and their type (2.0 or 3.0) and sound outputs. We jump now to talk about the quality of construction, another fundamental element since it will also depend on the performance of our motherboard, as well as its reliability, its stability, and its useful life. Each manufacturer uses its own badges to define the quality of its plates, such as GIGABYTE, which uses the name “Ultra Durable” as synonymous with high-quality construction. Protection against humidity and electrostatics, as well as against electrical faults and against high temperatures. Japanese solid capacitors, since they offer a longer life and achieve more stable operation. Low RDS MOSFETs that allow working at higher temperatures without losing stability. As we have done before, we are going to limit ourselves to those that really make an important difference, and we will leave aside those that do not contribute anything truly relevant. Dedicated network solutions: there are a large number of models that incorporate this type of components, such as GIGABYTE mid-range and high-end motherboards that include Killer solutions that help us better manage and control the performance of our network. High quality integrated sound output: we are not talking about the typical RealTek chips that bring almost all motherboards, but premium solutions such as Sound Core3D, a fantastic sound chip that GIGABYTE uses in its high-end motherboards. Premium construction quality : with this we do not refer to the previous basic points, but to others that are one level above, such as the use of a greater amount of copper in the PCB, the high quality sound condensers, the use of layers and isolated areas to improve sound and also the presence of last generation connectors, such as USB Type-C.
Advanced software: it is an element that we do not finish giving the importance it deserves until we try it. 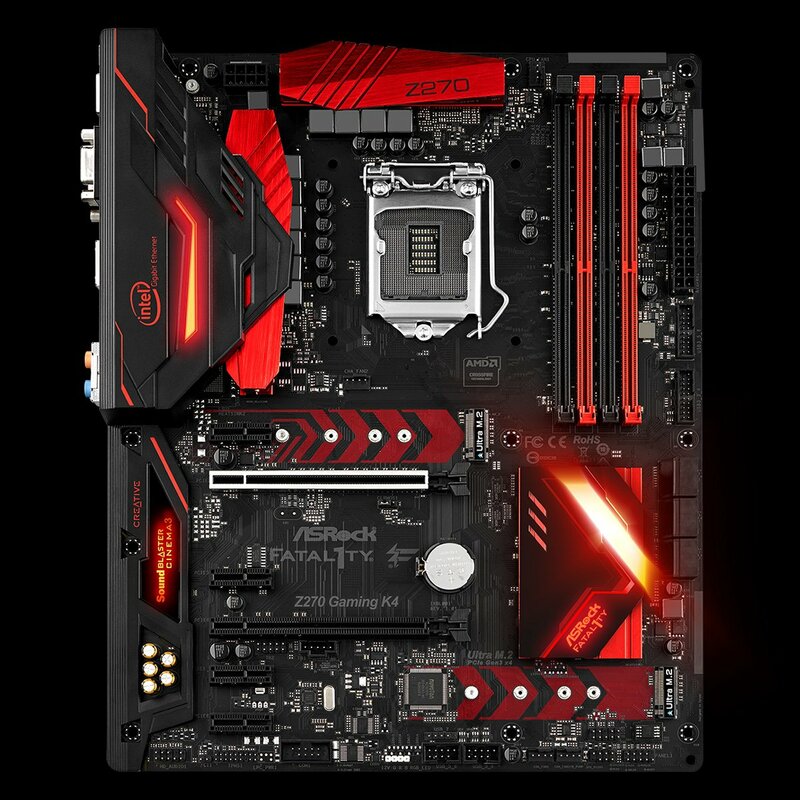 On a personal level, I have a GIGABYTE Z97X-Gaming 3 motherboard and I must say that the suite of applications offered by the manufacturer is fantastic and very useful, since it allows from simplifying the configurations to overclock the components in very simple steps and with total security. This is very important, especially for users who have less experience in this area but want to make the most of their equipment. That’s it. We have reached the end of the guide. We already discussed all the points we need to make a good choice, but we do not want to finish without recommending the best motherboards that we believe can perfectly meet your needs. To ease your search, we will group them by platforms and price ranges. If you have any questions or if you feel we missed out any good criteria or products, please feel free to leave it in the comments. Intel currently has three major platforms, the LGA1151, LGA 2011-v3 and the LGA 2066. The first covers what we can consider as the general consumer market, while the other two remain as “extreme” range solutions that support processors of four, six and more cores. With the introduction of motherboards with 300 series chipset for Coffee Lake processors, it is possible to assemble CPUs of general consumption with up to 6 cores and 12 threads. On this base distinction, we will make a list differentiating models with different features and prices, which we will group by ranges and price. The LGA 1151 socket is the most popular of Intel and is the one used by the Skylake processors (Intel i3-6xxx, i5-6xxx, i7-6xxx), Koby Lake (Intel i3-7xxx, i5-7xxx, i7-7xxx … ) and Coffe Lake (Intel i3-8xxx, i5-8xxx, i7-8xxx). 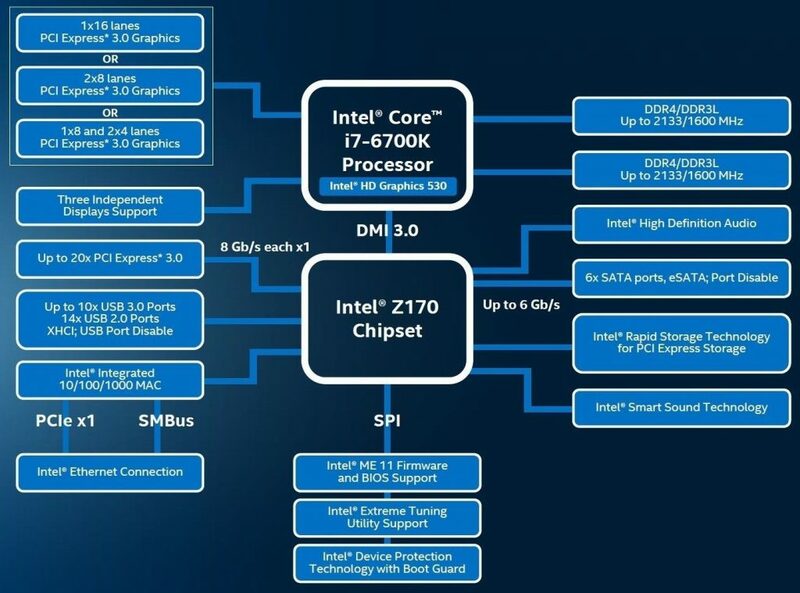 However, you must be clear that not many different chipsets exist within this socket, and not all of them are compatible with those three generations of Intel. The clearest case is represented by the eighth generation of processors, the new Coffee Lake, which are only compatible with the Z370 chipsets. These Z370 boards are designed to support overclocking and are not particularly cheap, but it is expected that more affordable chipsets will be available for those looking to assemble a basic or mid-range PC. This board is one of the most affordable in the range of the Z370, and one of our recommendations if you opt for an Intel Core eighth generation, that is, that does not support overclocking, such as the i5-8400 or the i3-8100. It cannot be considered as cheap, even though it comes without some luxuries that have other superior models, such as the RGB lighting system (although it does have white lights) or other elements that are more aesthetic than functional. In terms of quality, however, it has all the things which we desire. 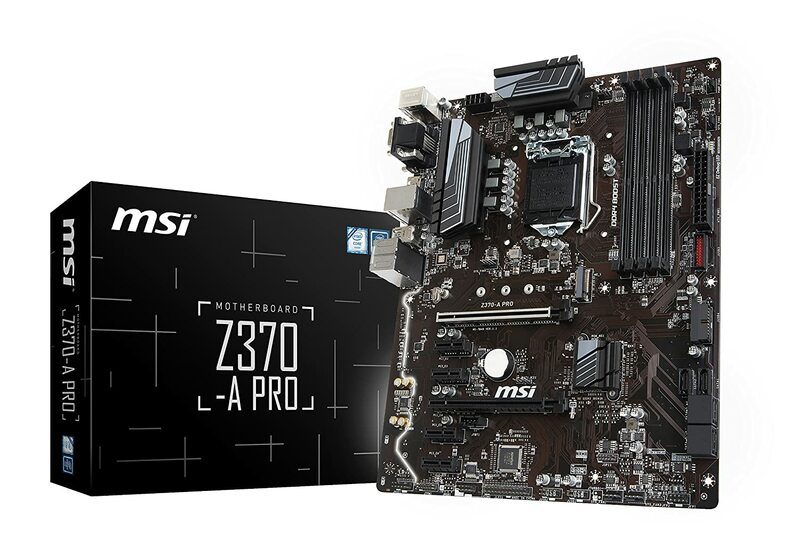 This MSI Z370-A Pro provides reliability, stability and good connectivity, whether you do not plan to do OC or want to do it in a moderate way. It supports up to four DDR4 RAM modules of up to 4000 MHz speed and has two PCIe x16 slots and four PCIe x1 slots, and six SATA ports. 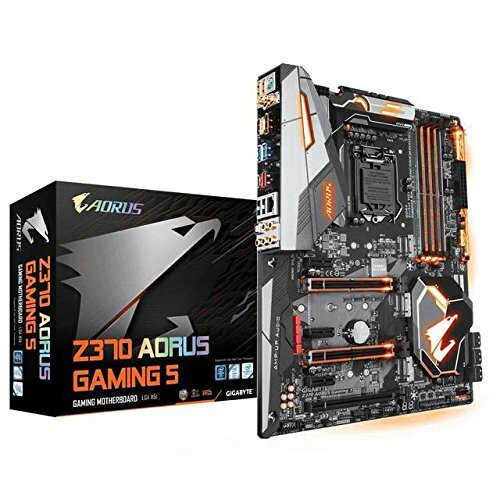 Those looking for a quality motherboard to configure a high-end equipment, or plan to make a serious overclock, the Gigabyte Z370 AORUS Gaming 5 is a very good option, which offers more possibilities than other cheaper options such as the MSI Z370-A Pro. Some of its features include compatibility with the Fusion RGB LED lighting system, three M.2 ports, support for both CrossFire and SLI and USB 3.1 front. Another aspect that stands out is its temperature control system, with nine sensors spread across the board and eight hybrid heads for fans. If you plan to add a striking aesthetic and construction materials, we have a very recommendable motherboard for medium to high range gaming set up. You do not have to spend a fortune on a motherboard to enjoy a good gaming computer. And the proof of it is this MSI B250 Mortar, which offers enough connectivity possibilities without spending much. The motherboards based on the B250 chipset are compatible with the Intel 6th and 7th generation processors. 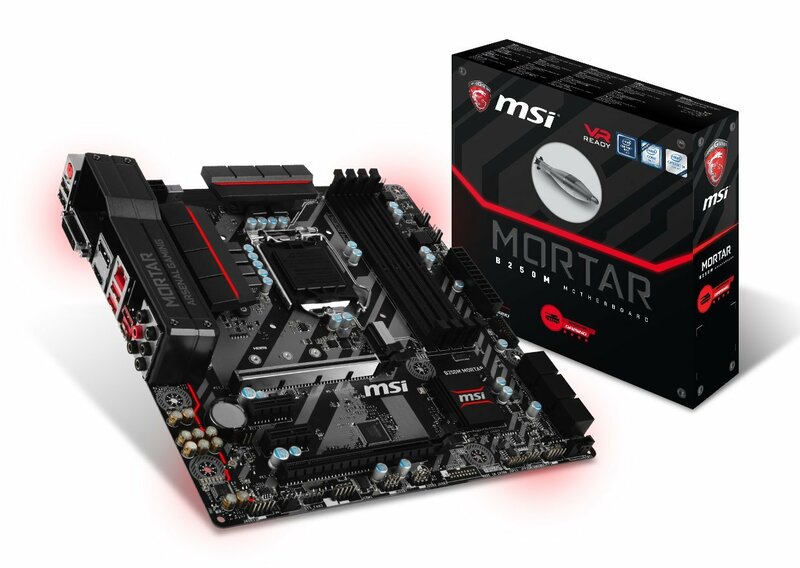 The MSI B250 Mortar is one of the best gaming motherboards of this chipset. 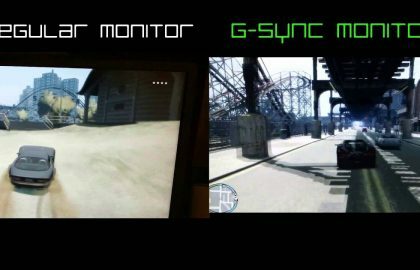 Together with the Intel Pentium G4560 can form a lethal combo, capable of performing at a very good level in the latest games and for a price more than affordable. It has more than enough connection possibilities, with support for M.2, Crossfire (not so for SLI) and up to 64 GB of DDR4 RAM of 2133 Mhz distributed in four modules. As if that were not enough, aesthetically it also looks amazing, with an LED lighting system and an attractive military design in grey, red and black. 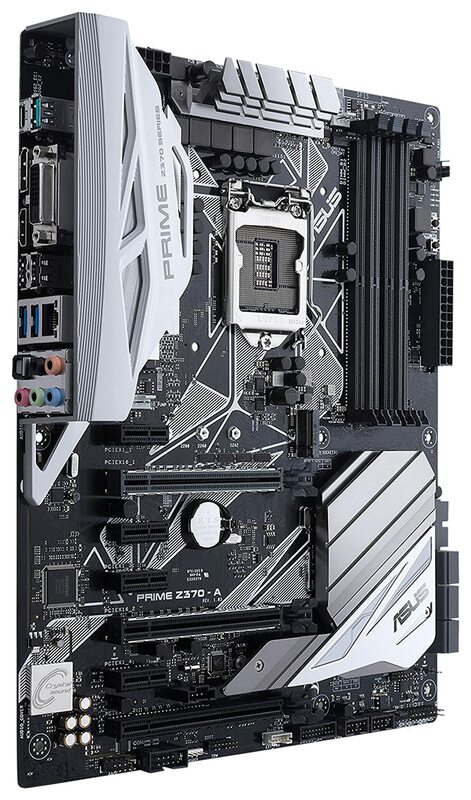 This Asrock Fatal1ty Z270 Gaming K4 is possibly the best quality-price motherboard within the Z270 chipset, and specifically for gamers who want to overclock moderately without overcommitting their budget. It also allows a great performance when doing RAM, and in this case quite aggressive, so we can push the speed of memory (as long as it is appropriate for it) to nothing less than 3733 Mhz. Another of its strengths is its excellent sound system, with support for the Creative Sound Blaster Cinema 3 software, and Realtek ALC1220 Codec. Definitely this plate has nothing to envy to independent audio cards that can cost $150 on their own. 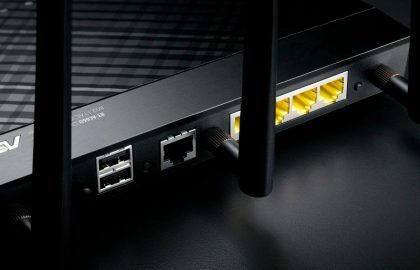 In terms of connectivity, it comes with 7 USB 3.0 and one C-type ports, two M.2 ports, 2 PCIe 3.0 x16, 4 PCIe 3.0 x1 and support for AMD Crossfire and Quad Crossfire. If you want a cheaper alternative, you can get the Z170 version of this plate. 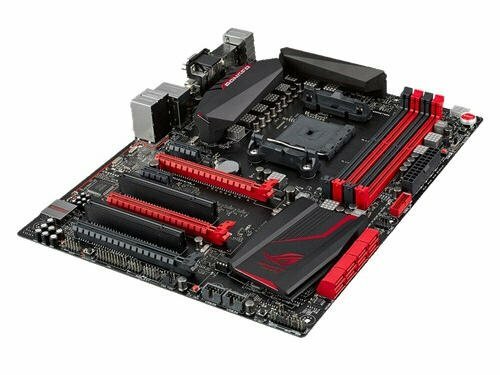 This motherboard is one of the most economical from Asus within its Z270 chipset line. But still, it offers much more than other expensive models, and what most users will ever need. 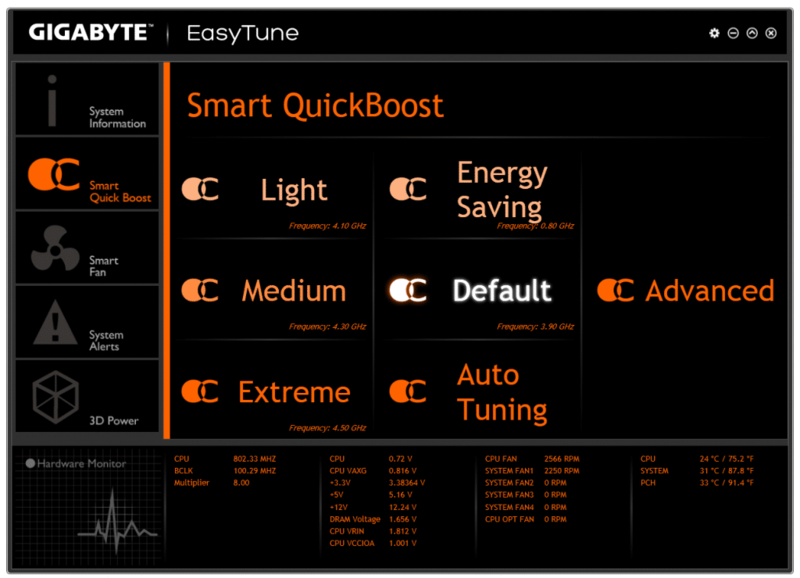 It allows you to perform OC in a simple and intuitive way, either through the BIOS or the software that you bring for it. And in the case of RAM, we can also increase the speed of DDR4 sticks to 3866 Mhz. Aesthetically it is not left behind either. We can see the attractive design that the Asus motherboards usually show, we can add the highly customizable Aura LED lighting system, and the possibility of installing printed parts in 3D by ourselves, something rarely seen on a current motherboard. These pieces can be parts with your name or some personalized message, like supports for fan or covers for cables. 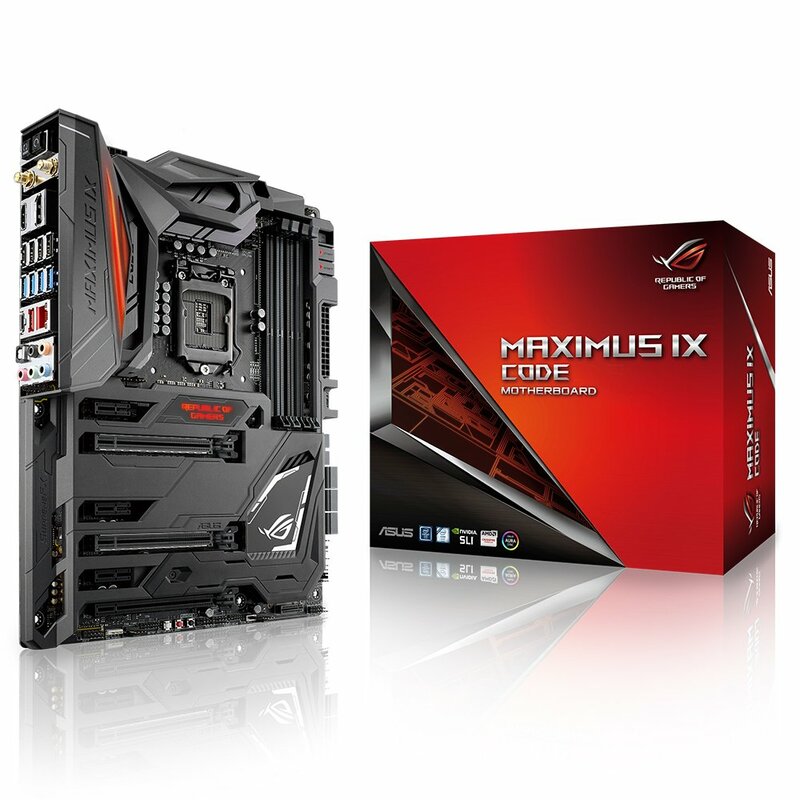 At the expensive end of Asus motherboards, the one focused on professional gamers, we find this Asus Maximus IX Hero, belonging to the ROG product line, very popular among gamers from all over the world. This model mounts the Z270 chipset and is undoubtedly aimed at owners of unlocked Intel processors that seek to push the limits of their CPU to the maximum. It is not surprising that a good part of its star characteristics are aimed precisely at achieving good cooling: liquid cooling zone with two connectors to control the temperature and flow at all times, 5-Way optimization of the entire system according to the intensity of the use and complete control over the fans thanks to the Fan Xpert 4 utility. We can not fail to highlight other strong points such as the high quality of construction of this board, the quality of the audio system, the integrated LED lighting or its support for 3D parts. The LGA 1150 socket was designed for the fourth and fifth generation of Intel processors, that is, for the Haswell and Broadwell models. Although they already have a successor, the LGA 1151, are still those that are present in a greater number of computers, and today it still makes sense to configure a PC based on this platform. This model is an excellent option for those players who want to build a computer with older Intel processors (4th and 5th generation) and at a very low price. 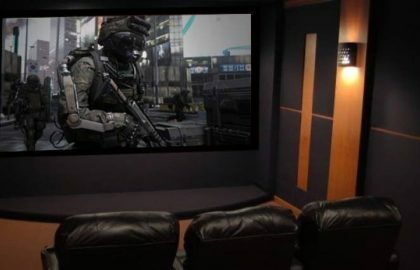 For all of them, it is an excellent option provided that some caveats are taken into accounts, such as that it does not support the installation of several graphics in SLI (but in CrossFireX) or a very demanding overclock. Another thing to keep in mind is that it does not have M.2 connections or SATA Express. If this is an indispensable requirement, we must opt for more expensive models (even within the H97 chipset there are those that do). It has solid capacitors, components with Military Class 4 certification and Guard-Pro protection system, which ensure good cooling and maximum possible life. It has 4 DDR3 RAM slots, video output for VGA, HDMI and DVI, support for 4K graphics … Therefore, we believe that it is one of the best, if not the best motherboards, to build a computer based on any old Intel system. This is a PC board aimed at advanced gamers users, with everything they need but without unnecessary frills. 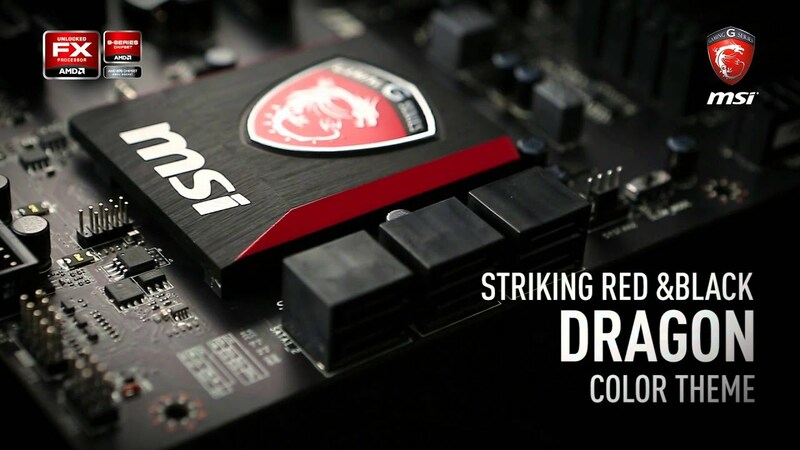 With M.2, SATA Express and the Killer E2200 Game Networking system, to reduce delays in online games, the MSI Z97 Gaming 5 has among its top priorities to take the system to its maximum speed. Among its highlights, we can also mention the quality of its sound, the result of the conjunction between its exclusive Audio Boost 2 technology and the Creative Sound Blaster Cinema 2 software, which will be especially appreciated by those who like to play with headphones. It is clearly optimized for overclocking, providing good stability and flexibility. The more advanced users in these tasks have a wide variety of options to handle each parameter, while the novices can do it in a more automated way through the OC Geni 4 series software. All this is dressed in an elegant design in black and red and with the MSI Gaming Series logo in plain sight, a plus point for modding lovers. 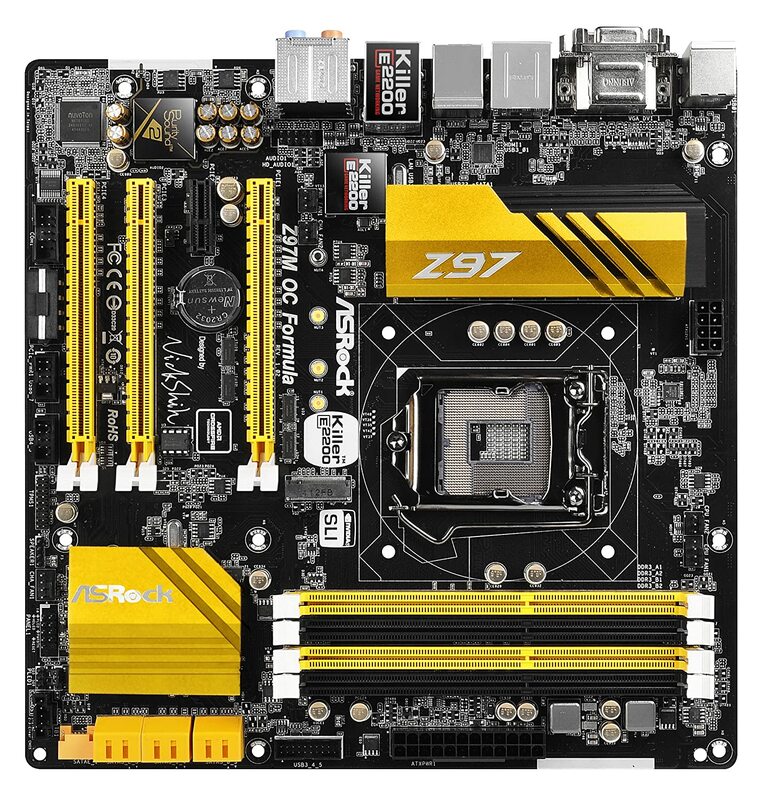 Located at the end of the highest range of Asrock motherboards, the Z97 OC Formula incorporates a 12-phase CPU VRM and a 4-phase Memory VRM. It boasts of being waterproofed against moisture and liquids (in small quantities, of course), a powerful dissipater system and an exclusive HDD Saver system that saves energy and extends the life of the hard drive. For the most demanding overclockers, it has physical buttons on the board itself, and for those who still do not have enough knowledge, it also offers various automatic options through software. The 2011 socket was designed to be used with the highest ranges of the Intel processors: Sandy Bridge-E, Ivy Bridge-E and Haswell-E (in the latter case it is the LGA socket 2011-v3). These motherboards are the most expensive on the market, around the cheapest $300 and the most expensive $500, so we do not recommend unless you spend at least $2000 on the configuration of your PC. Therefore, we have chosen to recommend only one model. For just over $250 it is impossible not to recommend this board if you want to delve into the 2011-v3 terrain. You will not find any model based on the X99 chipset cheaper than this, and despite this, we are talking about a premium product, with everything you might need as an enthusiastic gamer or professional graphics and video editor. Of course, unless you intend to make a wild OC, in which case you must make a larger payment. 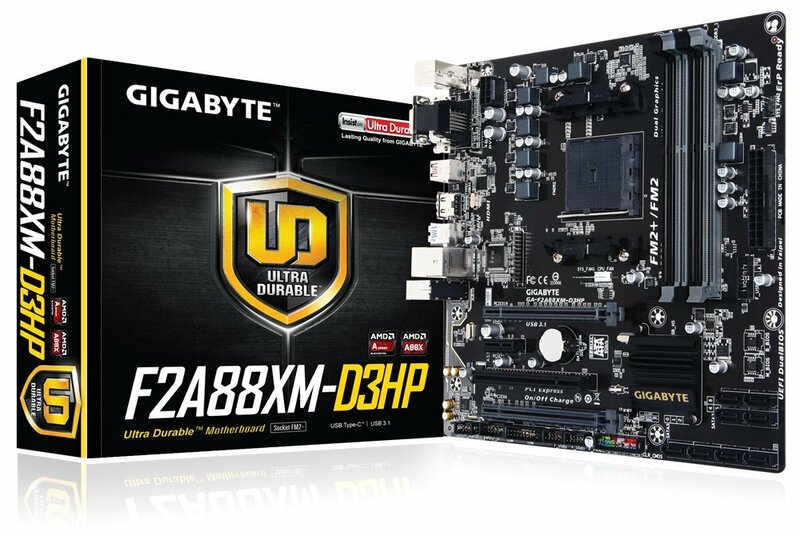 It has support for Quad Channel memory DDR4-3333 (capacity up to 128 GB), 3-way CrossFire and SLI, two USB 3.1 ports, M.2 Gen 3, good cooling system, a simple and intuitive BIOS, multiple options of Automatic OC … Without a doubt, it is not just the best motherboard in X99 market, but the best motherboard altogether. Together with the new Ryzen processors, AMD has also promoted the new AM4 motherboard system in 2017. With these two new releases, AMD is once again competing Intel in the segment of high-end processors, something that has not happened for quite some time. The AM4 socket is still in its early stages of development, so the number of motherboards available on the market is still not very high. However, the main manufacturers have welcomed this release, putting all their efforts to put these new models at the best LGA 1151. Also due to their early stage, these boards will receive numerous improvements via updates, in order to improve the stability and reliability of the system, so it is important to be up to date and update whenever possible. If you plan to build a computer based on the new Ryzen processors, you really do not have many motherboards under $100. 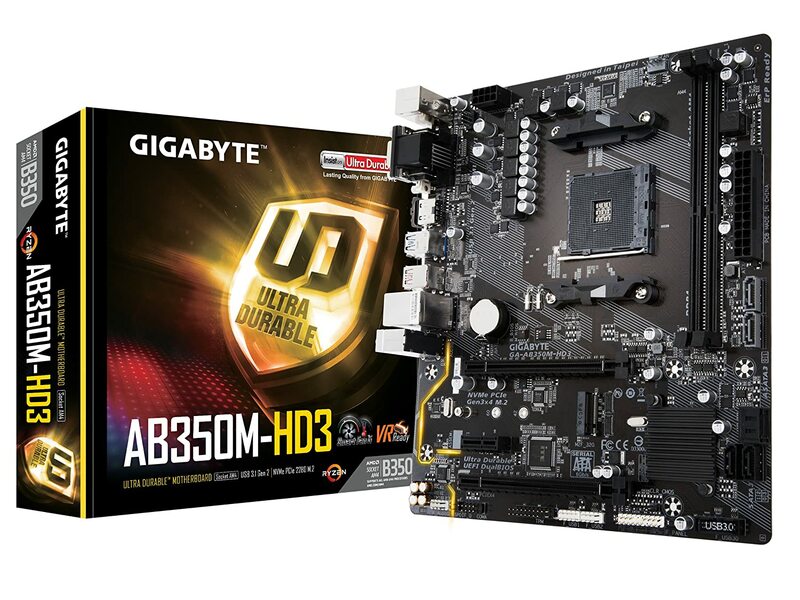 But fortunately, some of them are as effective as this Gigabyte GA-AB350M-HD3, without doubt, one of the best options for tight budgets. In addition, and despite its low price, is also prepared to do OC, although as expected, with it you will not get any extreme result (nor do we advise you to try it). To help you with it, it has five temperature sensors and two hybrid connectors for ventilation that detect the type of cooling used. In short, it is an excellent option to enter the Ryzen territory without having to spend a fortune, and with the guarantee provided by a prestigious brand such as Gigabyte. 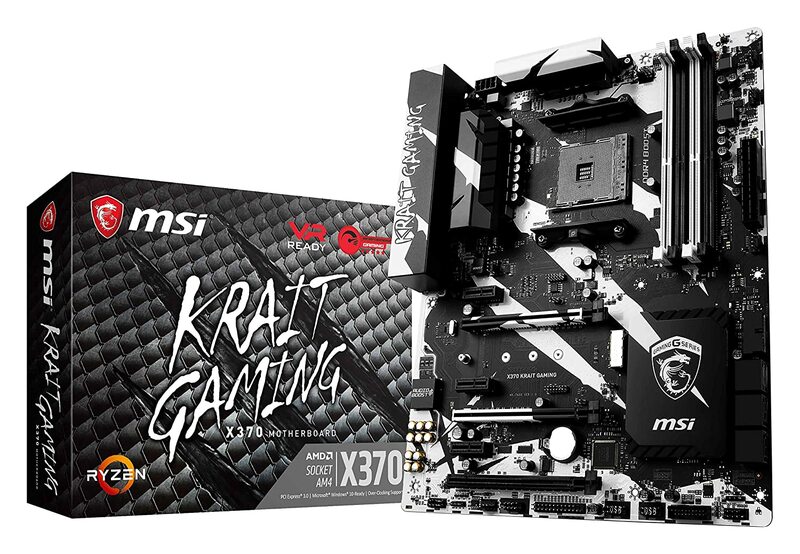 If we choose to mount an X370 chipset, few models offer us a better quality-price than this MSI X370 Krait Gaming, which is capable of satisfying even dedicated gamers. Among some of its most interesting specifications, we found an M.2 Turbo, two USB 3.1 ports (type A and type C), Gaming LAN system to achieve higher speeds in online games, high-quality components manufactured under the Military Class 4 standard and Support for both SLI and Crossfire. The UEFI is very simple to use, and through it we can monitor at all times each parameter of your system, as well as perform a fairly stable overclocking, reaching around 4GHz safely in the case of the Ryzen 7 1700X. From the aesthetic point of view, it presents a military aspect mainly in black and white and comes with customizable LED system, and that can be synchronized with those of other devices, such as the mouse, keyboard or CPU cooler. You could not miss the new AMD AM4 platform in the line of ASUS ROG enthusiast boards, with all that this entails: great quality of materials, excellent stability for overclocking, a stunning design and more. This latest generation motherboard offers virtually everything that any gamer could want, and also is not as expensive as other models that have almost the same specifications. Along with a good liquid cooling system it is possible to boot around 800-900 Mhz extra to a processor like the Ryzen 7 1700, and that’s saying a lot in an eight-core CPU. To all this we must add other features that it shares with other ROG motherboards, such as an incredible audio system, lots of connections (2 USB 3.1, M.2, 8 SATA 6 Gb / s, HDMI), possibility of mounting multiple graphic cards in SLI or CrossfireX, optimization of the 5-Way system, LED lighting system, possibility of installing printed parts in 3D … All this makes it possibly the best AMD motherboard for the new Ryzen. The AM3 socket for AMD processors is already a few years old, and of course it is not built with a technology as advanced as the latest Intel platforms or the AM4 of AMD itself. But mounting a PC based on this system is still a very good option for its incredible value for money. Whether you are a casual player with a very tight budget or an enthusiastic gamer looking for a high-end equipment, the AM3 + motherboards have a good variety of chipset and different models to choose from, with which you can mount any version of the processors of the FX, Phenom II, Athlon II, and Sempron 100 series. 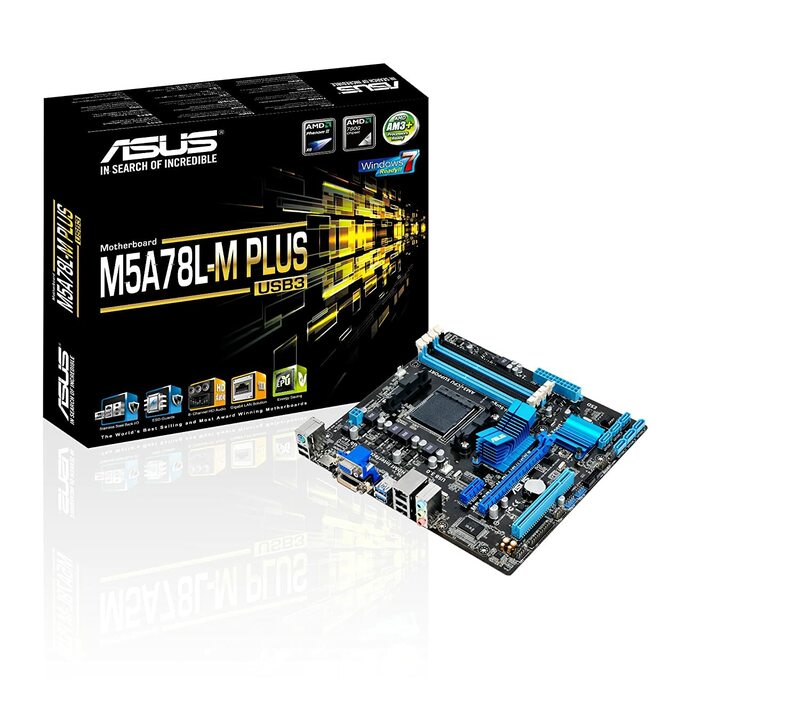 The Asus M5A78L-M / USB3 is a good, beautiful and cheap motherboard. Of format microATX, it can be considered in certain way basic for those who want to mount a gaming computer under $500. It usually accompanies the AMD FX-6300, with which it makes a very good pair, since despite being a very cheap model it allows to make a slight overclock thanks to the automated Turbo Key system. Along with the aforementioned AMD FX-6300 and a mid-level graphics, you will be able to assemble a pretty good PC, with enough audio and video outputs, support for USB version 3, temperature control for the CPU and integrated graphics card. In the mid-high range of AM3 + motherboards, the Fatal1ty 990FX Killer from Asrock is one of the most outstanding, assuming at the time of its release an authentic breath of fresh air for a chipset that already seemed to have reached its limits. It is one of the few 990FX that incorporates M.2 slot, and supports a relatively demanding overcloking, with a design in 8 + 2 power phases. 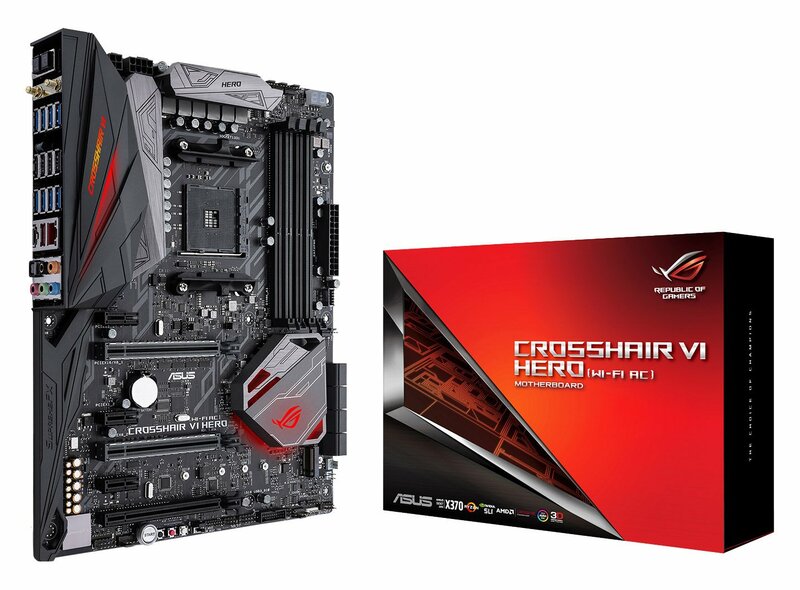 AMD has in this ASUS Crosshair V Formula-Z one of its best boards, aimed at the most advanced gamers and overclocking enthusiasts. What makes the difference compared to other boards with a lower price is mainly its heat dissipation power, which means that you can take the system to high levels of overclock without overheating and that any component is damaged. Among its most notable features we can mention support for up to 32GB of memory at 2400 (OC), 8 Sata 6Gb/s connectors, 8 USB 2.0, 4 USB 3.0 and fantastic integrated sound and video systems. The FM2 + system is the solution devised by AMD to support its APU processors, or what is the same, processors with integrated graphics chips. There are not many gamers who choose to configure a PC based on an APU, since most prefer to mount a CPU and an independent graphics card, but the truth is that these components are developing at a dashing pace in recent years, in good part thanks to the firm commitment of AMD. In addition, many FM2 + motherboards have even more advanced technology than AM3 +, making them a good option for smaller budgets. The A88X chipset is the best option to use in conjunction with any of AMD’s overclockable APUs, such as the A10-7850K. On the basis of these two components, a more than decent PC gaming system can be assembled, which will meet the expectations of the most casual users who do not seek graphic excellence or always follow the latest market developments. It comes with 4 USB 3.0 ports, 8 SATA III ports and supports up to 64 GB of RAM up to 2133Mhz, and a dedicated low-end VGA graphic card can be added to the APU (check recommended models here ). This model is found on the highest A88X line of motherboards for AMD, and it is the only FM2 + system that can be found in the ASUS ROG (Republic of Gamers) range. In spite of all this, you should ask yourself if it is worth paying what it costs for a system that does not have many options for updating in the future, nor that is going to get as much gaming as one composed of a CPU and dedicated graphics card.